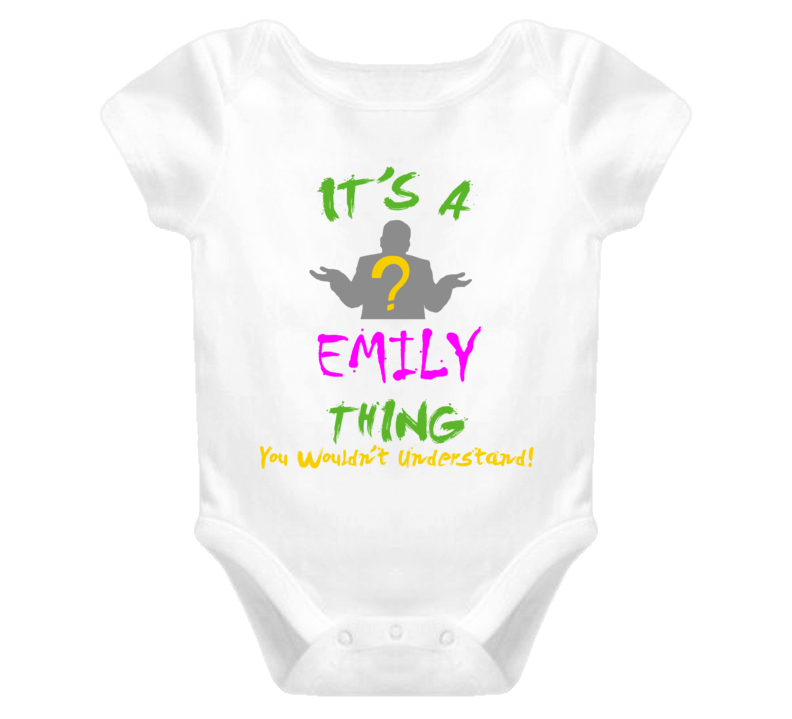 Order your very own Emily Its A Baby Thing You Wouldnt Understand Baby One Piece. It won’t be around forever so buy yours here today! Shop our huge selection of high quality, adorable graphic apparel. 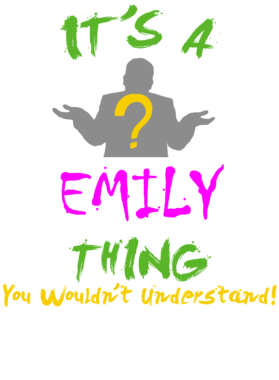 All of our cute graphic images are also available in youth sizes, and adult sized tees, hoodies, and aprons, just in case you and your little one want to match! This product is pre-treated to ensure quality and longevity of the graphic. Dont wait, start your child's wardrobe off in style!